Physical therapy is an alternative treatment process that helps improve or regain one’s mobility. It makes use of physical exercises and massage to help patients prevent, manage or heal injuries, disabilities, and pain. Your local CHAP-accredited and Medicare-certified home health agency in Chula Vista, California, usually provides physical therapy services to individuals dealing with pain, functional limitations, and trauma-related injuries, among others. More than helping people manage the pain they feel, physical therapy also enables patients who are receiving home health care in California to live their life to the fullest. Helping everyone, regardless of their age, to reach their maximum functional potential is the goal of physical therapy. The importance of physical therapy cannot be emphasized enough. By working with professional physical therapists, patients ensure that the treatment plans they receive address their specific impairments in a way that does not lead to further damage. Qualified therapists can also help them trace and understand the cause of their problem thus helping them avoid recurrence. Because of this, physical therapy can benefit individuals who look forward to achieving quality home health in San Diego. 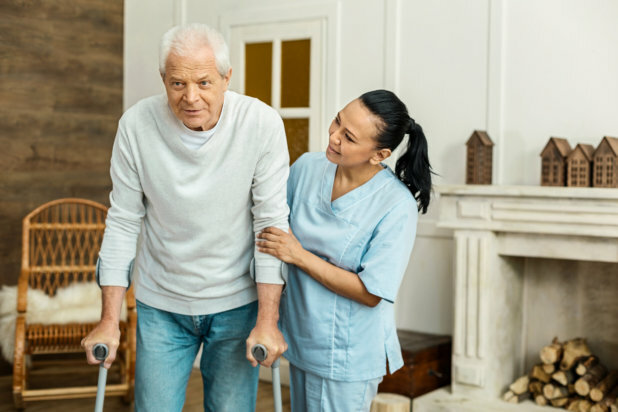 At Modern Home Health Care, Inc., we have physical therapists who can assist you in regaining your mobility, strength, and balance at the comfort of your homes. We recognize that each patient has different needs, so we provide physical therapy services that are specifically tailored to meet your treatment goals. If you’re looking for skilled nursing in California, we also have registered therapists, nurses, and dietitians who work under the supervision of your attending physicians to help ensure that you receive the best quality of healthcare possible. Call us to know more. This entry was posted in Physical Therapy and tagged healthcare, professional physical therapists, treatment plans. Bookmark the permalink.